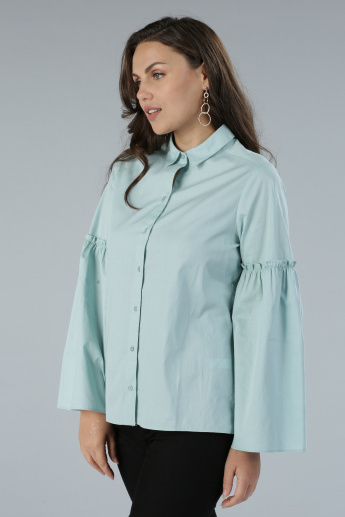 Get this trendy shirt and grab attention in a snap. 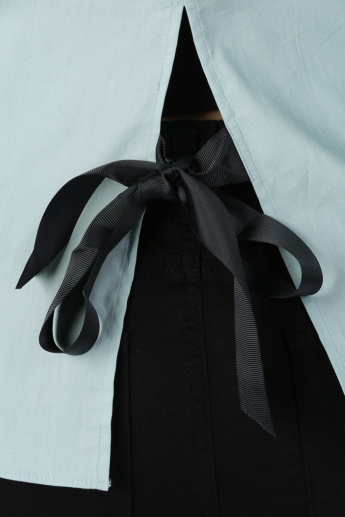 The complete placket makes it easy to put on and off without any hassle. 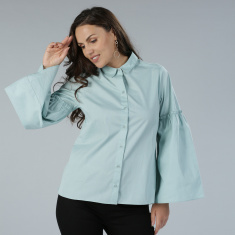 The bell sleeves look classy and attractive. 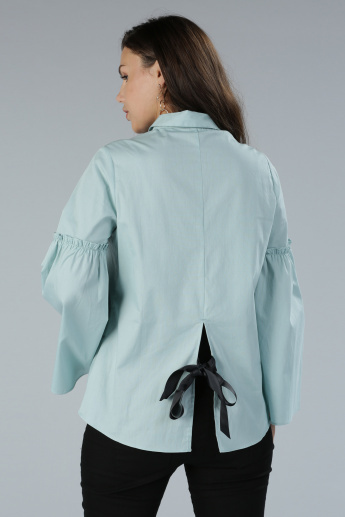 The ribbon detail on the back is striking and makes this shirt all the more desirable.